How is it that it’s June already? It feels like the past few weeks have whizzed by in a whirl of last-minute wedding planning, and suddenly it’s time again for my monthly Secret Recipe Club post. This month, my assignment was The Keenan Cookbook, a blog written and photographed by Chris and Rachel. He maintains the site and does the cooking, while she does the photography and the all-important taste testing. They’re also mom and dad to two little boys (also known as the Toddler and Baby Boy), which means most of the recipes in their repertoire are blissfully quick and easy to make… exactly what I needed this month given everything else on my plate. My only change was to add some thinly sliced red pepper to the mix for a little extra nutrition, and to skip the pan frying in favour of oven baking until crisp for an even healthier alternative – hence the renaming to Baked Chicken Flautas. 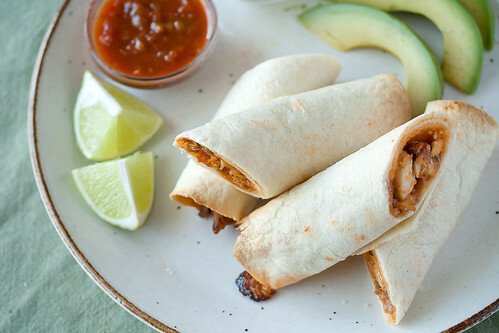 It’s a perfect dish for a busy weeknight – the filling of chopped rotisserie chicken, shredded cheddar and bottled salsa comes together very quickly, and is then rolled up in flour tortillas and then baked in a very hot oven until crispy on the outside and bubbling hot on the inside. Basically, I like to think of these as the eggroll’s deliciously gooey, cheesy Mexican counterpart. We gobbled up almost an entire batch between just the two of us for dinner. Seriously, they’re that good. And best of all, they’re almost completely guilt-free! Considering they’re so easy to make and so delicious to eat, I can see a double (or even triple) batch making an appearance on the table the next time I throw a party, along with a vegetarian version made with black beans instead of rotisserie chicken. Oven-baking instead of deep-frying makes these flautas a delicious and healthy option for a quick weeknight dinner. Preheat oven to 425F. Lightly spray a large baking sheet with cooking spray. While the oven preheats, set a large saute pan over medium heat, and add oil. Once oil is hot, add the onion, red pepper and jalapeno, and saute for 5-7 minutes or until the onions are soft. Stir in garlic and cumin, and continue cooking for 1-2 minutes or until fragrant. Remove from heat, and stir in chicken, salsa, cilantro, and lime juice. Set aside the filling to cool for 10 minutes or so. Stir the cheese into the cooled chicken filling. Arrange the tortillas on a clean working surface. 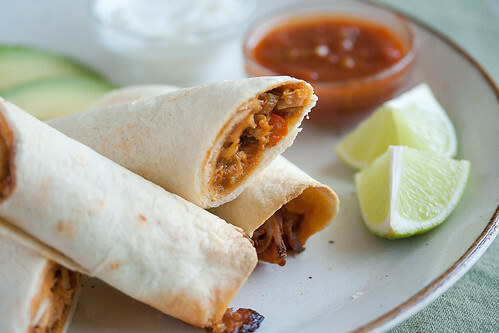 Spread a heaping ¼ cup measure of filling down the middle of each tortilla, then roll up tightly into a cigar shape. Arrange the flautas seam side down on the prepared baking sheet, and lightly spray the tops with a little more cooking spray. Bake in preheated oven for 10-12 minutes, or until the tortillas are crispy and golden-brown around the edges, and the filling is hot and bubbly. Let cool for 5 minutes, then cut the flautas in half and serve with small dishes of the various garnishes so everyone can top off their plate as they like. The filling can be prepared in advance - simply transfer the cooled filling to an airtight container, and refrigerate for up to 2 days or until ready to assemble. I am so far behind!! I have yet to visit everyone from SRC but these flautas look amazing! I love flautas and these look fantastic. Love that they’re baked. Just checking in… are you getting a post up for The Canadian Food Experience Project… trying to read them all before the round up. Please let me know, and if you can do it by the 13th, I can still include you in the round up. I would HATE TO MISS a post from you about this topic! Will definitely try this, thank you! These look so tasty. I love how you baked them. I’m sure I would end up eating more than my share! my husband LOVES a chicken flauta. Unfortunately, he loves the flautas at a semi-sketchy fast food chain restaurant. I bet i can COMPLETELY break him of that habit with yours, and i plan on doing this very soon. they look so good! 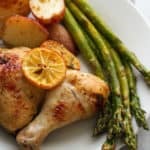 This is a very quick dish and perfect for weeknights and even summer with a rotisserie chicken. Just the kind of recipe that’s great to have on hand. Looks lovely, whats amazing is the ease of putting it together. I see this on my dinner plate very soon! These look and sound amazing. And easy. I am definitely going to have to try them. I like your term taco-esque. These look like a tasty treat, snack or dinner. 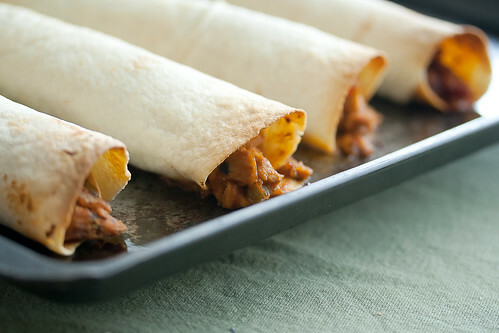 Never heard of flautas – and love learning new food facts. Love Mexican, too. Great choice. I haven’t made flautas in forever. These look fabulous. Yum! 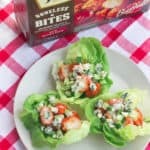 These look super tasty – such a great filling! Love these, will definitely give a try for a upcoming dinner. I love anything taco related! Those flautas look great! 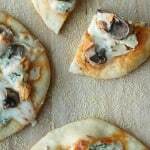 A wonderful easy dish and perfect for parties! PS I had you this month! I’m so with you, Isabelle – anything “taco-esque in nature” is totally up my alley. I have seen this idea around, but I can’t believe I haven’t tried it yet. 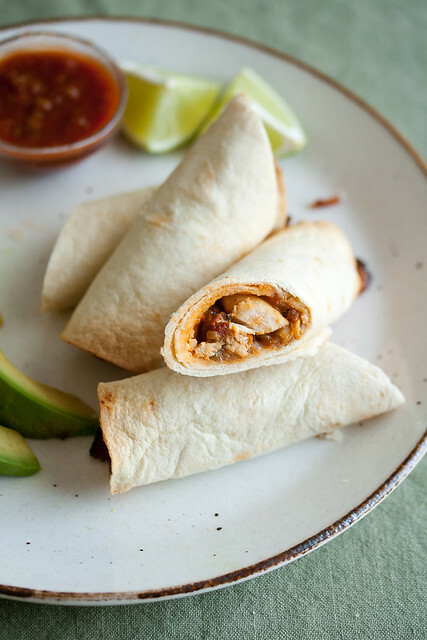 Who doesn’t love crispy tortillas with tasty, bubbly fillings. Yum! I love that you baked these, it’s my favorite way too. I’m with you on days flying by, I can’t seem to keep up. Great recipe. If you haven’t already, I’d love for you to check out my SRC entry Paradise Mango Curried Shrimp. If I had those for dinner, I would gobble them up too. So delicious looking. 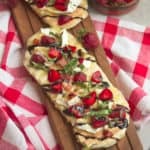 Yum these look delish! Baked is sure healthier! I have seen a recipe similar to this before, filed it away, and – promptly – forgot about it. But I will definitely be making them this time. Nice job for the SRC.